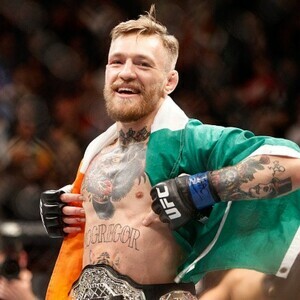 Conor McGregor net worth and career earnings: Conor McGregor is an Irish professional fighter who has a net worth of $110 million. That net worth includes the roughly $100 million payday Conor earned from this August 2017 fight against Floyd Mayweather and $50 million from his October 2018 fight against Khabib. Conor McGregor first became famous fighting in the featherweight division of the Ultimate Fighting Championship (UFC). He is also the former Cage Warriors Featherweight and Lightweight champion. 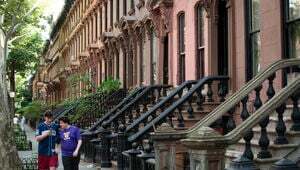 McGregor was born in Dublin, Ireland and worked as a plumber before 2008 when he began his career as a Mixed Martial Artist. Just a few weeks before his MMA debut, Conor was so broke that he was on welfare in Ireland and collecting $235 per week in government assistance checks. McGregor was originally trained in boxing and went on to train under John Kavanagh, the first Irish person to achieve a black belt in Brazilian jiu-jitsu, and his team at SBG Ireland. He has also trained in Tae Kwon Do, Karate, Capoeira, and Kickboxing prior to competing in professional MMA. In February 2013, the UFC announced that they had signed McGregor to a multi-fight contract. 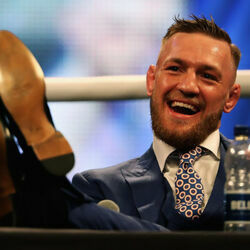 He is the second fighter from the Republic of Ireland to fight for the company, following welterweight Tom Egan. 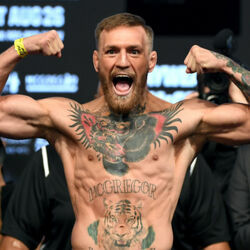 McGregor made his UFC debut against Marcus Brimage on April 6, 2013 and was successful in his first bout, winning via TKO just over a minute into the first round. The win also earned McGregor his first Knockout of the Night award. McGregor is a wide-stance striker who has also successfully developed a wide range of other combat forms to succeed and rise into the top 10. Some say his most effective move is his fast straight arm left jab. McGregor has had an amazing rise for a foreign born UFC fighter. He and his long term girlfriend, Dee Devlin, are widely recognized in Ireland, there are even large murals of him painted on O'Connell Street. On July 11, 2015, Conor earned $5 million when he defeated Chad Mendes at UFC 189. On December 11th, 2015, Conor earned a reported $12 million defeating Jose Aldo in 13 seconds. On March 5, 2016, Conor reportedly earned a minimum of $10 million, and perhaps as much as $15 million when he fought Nate Diaz at UFC 196. He reportedly earned $25 million when he fought Nate Diaz again at UFC 202. He earned around $7 million fighting Eddie Alvarez, in November 2016. He earned an estimated $50 million fighting Khabib Nurmagomedov in October 2018. Total UFC earnings to date: Roughly $115 million (includes $50 million Khabib payday). On August 26, 2017, Conor switched from the MMA cage to a boxing ring when he faced off against Floyd Mayweather. The fight was one of the most lucrative PPV events of all time generating 4.3 million buys. At that level, Conor earned $100 million between guarantees, merch royalties, concessions and bonuses. If you assume Conor lost around 50% of his earnings to taxes, $100 million gross earnings left him with a net worth of $85 million. Between June 2017 and June 2018, also earned around $14 million came from endorsements with companies like Burger King, Beats by Dre and Anheuser-Busch. Had Conor (against all odds) beaten Mayweather, it would have set up a rematch where Conor could have earned another absolutely massive payday. It wouldn't be unreasonable to assume that he would have been able to demand a minimum of 50% of revenue from a future fight. That would theoretically have resulted in a $200-$300 million payday. On September 20, 2018 Conor announced that he had signed an 8-fight deal with the UFC. The terms of the deal were not revealed but it's likely that it's worth at least $200 million on the very low end. 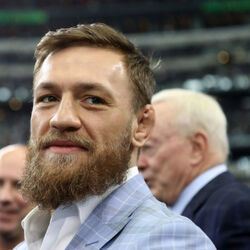 On March 25, 2019 Conor sent out a cryptic tweet in which he claimed to be retiring from MMA fighting to focus exclusively on his new business ventures such his Proper 12 whiskey brand. If he is truly done fighting, he retires with around $235 million in total career earnings.